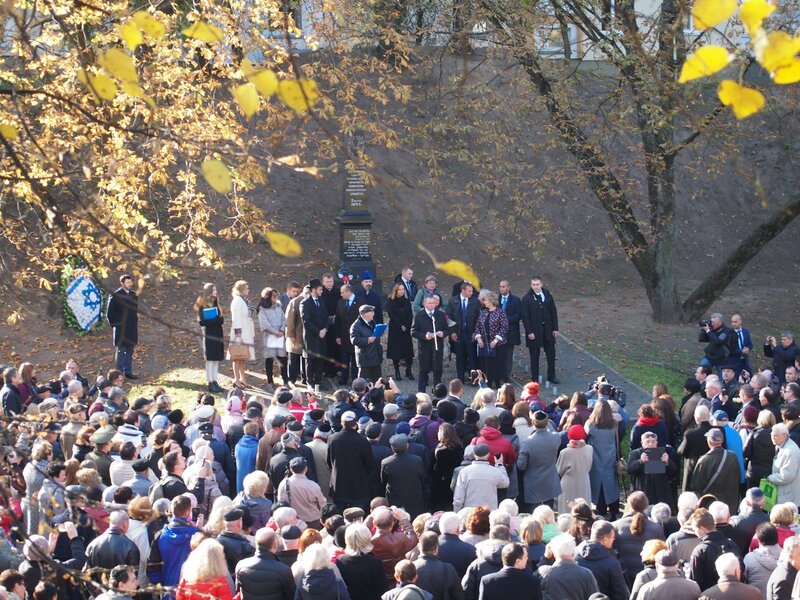 FJC community leaders and members participated in the official memorial ceremonies in Minsk, Belarus this Monday that marked the 75th anniversary off the liquidation of Minsk ghetto in WWII. The commemorations, organized by the Belarus government together with Jewish organizations will span three days and include concerts, conferences, documentary screenings and more. The memorial ceremony at Yama (Pit) complex on Monday included speeches by government officials from Belarus, Israel and Germany, survivor accounts, and memorial prayers. “Two years and a month I spent in the Minsk ghetto,” said one of the rare survivors Mr. Naum Hefets at the ceremony. “Out of my extended family of about 25 people in the city only I survived.” Before WWII about 900,000 Jews lived in Belarus. The Minsk ghetto alone, created soon after the 1941 German invasion counted nearly 100,000 people. Most of them perished in the Holocaust. The Chief Rabbi of Minsk, Rabbi Shneur Deutch recited memorial prayers at the ceremony. Today Minsk Jewish community is actively involved in veteran support as well as in revival programs for youth and children. There are 79 Minsk ghetto survivors currently living in Belarus, a local news site reported, 54 of whom live in the city.